Rochford Gibbons Solicitors has helped numerous clients at all levels of litigation. Contact us to discuss your requirements. Rochford Gibbons Solicitors deals with an extensive range of personal injury claims, helping clients attain their maximum legal entitlement when they have suffered an injury either during or outside of work. We represent clients at all levels including applications to the Personal Injuries Assessment Board, District Court, Circuit Court and High Court. Rochford Gibbons Solicitors provides expert advice and support throughout each stage of the litigation process, ensuring our clients are fully aware of the progress being made and explaining all updates in a way that is easy to understand. 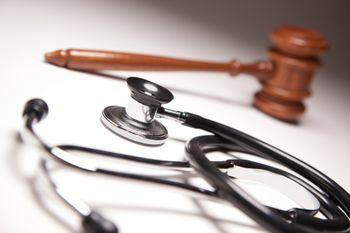 Medical negligence refers to professional negligence, by act or omission, by a health care provider in which the treatment provided falls below the accepted standard of practice in the medical community and causes injury, or death to the patient. Rochford Gibbons Solicitors assists clients who have been the victim of medical negligence in pursuing a claim and receiving an acceptable explanation.